metal-plate including a large inlay. plate which meakes the whole very heavy, a really special vinyl. 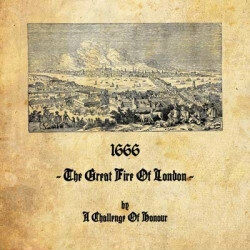 about the Great fire of london in 1666.